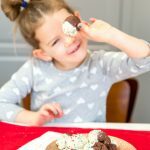 After reading one of a fellow blogger’s posts on how her preschooler refuses to eat her lunch, I thought I’d “reply” by writing a post with some ideas. Gurpreet Randev, much like many parents of young kids, has tried everything from colorful finger foods to pin-worthy fancy food skewers. But her daughter continues to come home from school with an untouched lunch bag. Gurpreet is at the end of her rope when it comes to school lunches, and her daughter is only one month into preschool. 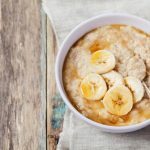 I know she’s not alone, and I know that many parents, like her, have read countless blog posts and articles on picky eating and “how to get your child to eat more.” As a parent of a preschooler myself, I can imagine the frustration that Gurpreet is feeling, so I hope that some of these (somewhat unconventional) tips will help her and other parents who feel the same pain. When given the chance, young children love to help plan and prepare meals. When children have a say in what they eat, they feel a sense of control. This, in turn, increases the chances of them eating it. Give your children two to three options for one or more items in their lunch. For example, ask “Would you like to have a plum or peach?” or “Would you like a pita or a tortilla wrap for your sandwich?” When you and your child have decided what will go into his lunch, put everything out on the counter or table and get your child to help assemble it and/or pack it into his lunch bag. Handing over a little bit of “structured control” will give your child a confidence boost and a sense of pride in having a hand in his meal. I couldn’t figure out why my three-year-old son stopped wanting to eat his peanut butter and banana sandwiches (he usually loved them) until I asked him if he’d prefer the banana on the side of his sandwich. He said yes and happily gobbled up his lunch. Many preschoolers or young school-aged kids go through a phase where they do not like their food to touch. This is normal and will pass eventually. Even though your children may be refusing to eat their macaroni and cheese with peas mixed in, they may happily eat it if you take the peas out and put them on the side. Try deconstructing their sandwiches or putting all of their pizza ingredients into separate components in a container (meat, grated cheese, cut-up veggies, and mini pitas). 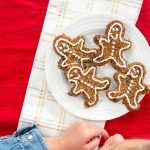 You don’t want to cater to your child’s every wish (this will fuel picky eating), being “courteous” by offering to separate certain foods might be the difference between your child eating his lunch or not eating it. 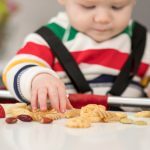 Your child may go on a certain food “strike” where they refuse to eat a food or combination of foods. This is totally normal and is usually nothing to worry about. 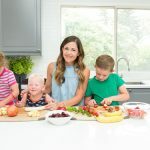 But it’s important to have an open dialog about food choices and preferences so that you can keep up with these “food phases” (and not assume that your child will eat the previous go-to choice). 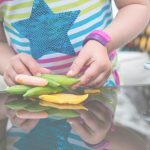 Young kids can be finicky with food (as illustrated in my previous point) and although it’s not ok to be a “short-order cook,” it’s important that your child feels as though they have a say in what they eat. Ask your child why they are no longer wanting to eat a food—you may be surprised at what you find out. Perhaps it is the color or texture that is turning them off. Maybe the banana that you send in the morning ends up being brown and mushy by the time lunch roles around. Let them know that it’s OK to not want to eat a certain food and that they can try something new or a different variation of an old favourite. This seems silly, but in younger kids, lack of manual dexterity could actually be one of the reasons why they come home with unopened containers of food. Practice opening baggies and containers at home before you send them full of food to school. Kids love finger foods. 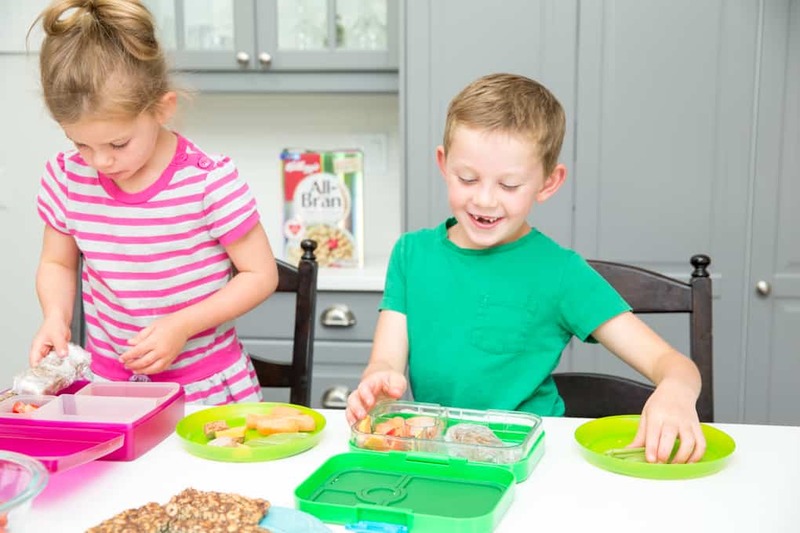 Try making lunch into a “bento box” by buying a cool container with several compartments and putting snack-like foods (that together form a healthy balanced meal) with lots of different colors, textures, and shapes. Include colorful veggies and fruits (of your child’s choosing) with tasty dips, protein choices such as cut-up meats, hardboiled eggs, chickpeas, yogurt, cheese, cottage cheese, and then whole grain foods such as breads, homemade muffins, crackers, etc. Again, involve your child in choosing what she wants to have in her bento box, even if it is an unusual combination of foods. 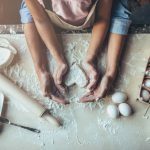 If you, like many parents, are spending hours scouring Pinterest for Martha Stewart-worthy lunch ideas, you may be going a bit overboard on the creative side of things. Kids aren’t as high maintenance as we may think. Your kids will not appreciate the bunny-shaped sandwich or star-shaped cheese slices as much as your think they will. 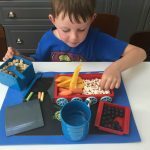 It’s important to offer a variety of foods at lunch (three to five different foods in various colors and shapes) for nutrition purposes but also to prevent school lunch boredom, however this doesn’t have to take hours on end. Instead of cutting your child’s sandwich into four squares, one day cut it into triangles. Instead of offering cheddar cheese, offer mozzarella one day. Instead of giving carrots and celery, offer cucumber and baby tomatoes. Instead of an egg salad sandwich, offer a sliced hard boiled egg and whole grain crackers. Switching it up—even a little bit—will pique your child’s interest and encourage them to nibble a bit more than they otherwise would. It is HARD not to put the pressure on your children when they refuse to eat a meal, but here’s the thing: when you put the pressure on, it will likely turn them off of it even more. So my suggestion is to back off (I mean that in the nicest way possible). 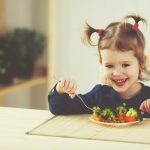 Toddlers and kids were born intuitive eaters, and it’s important to nurture that intuition as long as you possibly can. 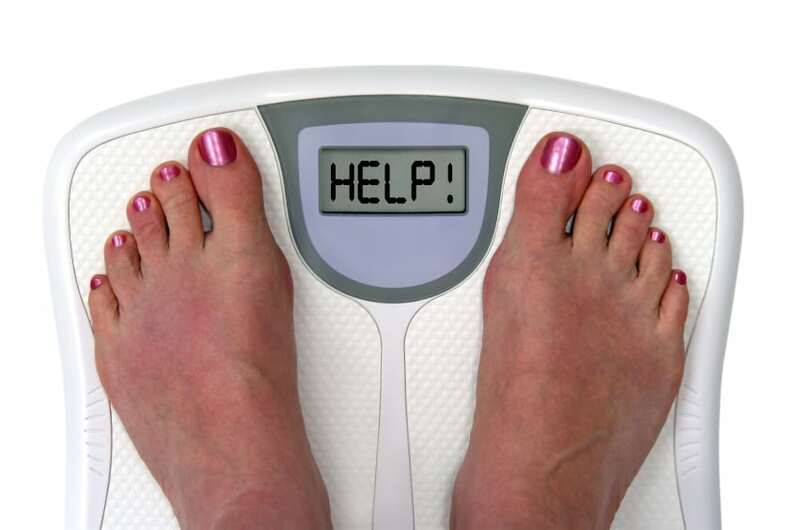 By pressuring your children, you are actually encouraging them to NOT follow their internal hunger/fullness cues. This is the opposite of what you want to do. 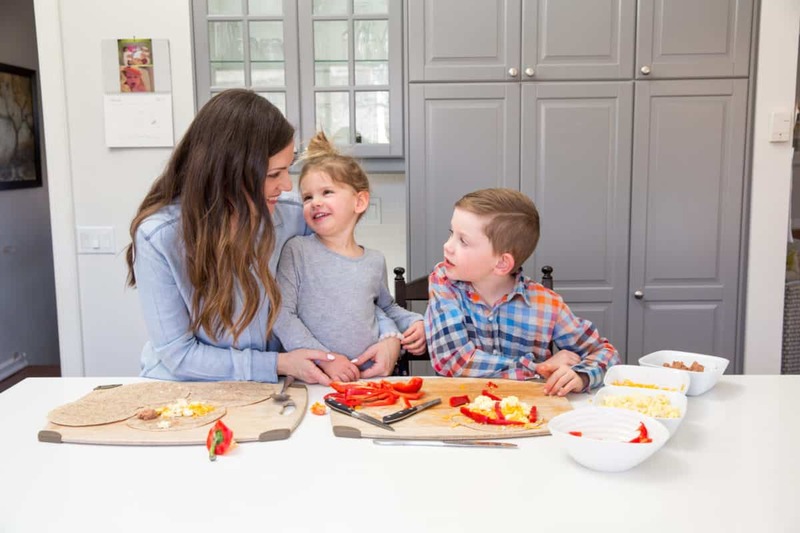 As Ellyn Satter’s Division of Responsibility outlines, our responsibility as the parent is to ensure your child is offered a healthy, tasty, balanced meal three times a day and healthy snacks in between most meals. It’s your children’s responsibility to decide whether they eat and how much. 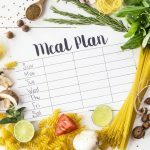 As long as you are holding up your end of the deal and your child is growing well and not falling off the growth curve, he or she is likely meeting their caloric requirements by the end of the week (even if they eat very little in one meal or even in one day). Try your best to grit your teeth and bite your tongue when you see your carefully crafted lunch come home uneaten and know that it won’t be like this forever. It’s a phase not unlike other challenging phases that our darlings go through. 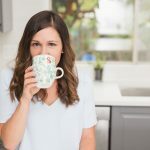 I post daily tips, resources, and answers to tricky questions about nutrition for families over on my Facebook Page, so feel free to check it out! It could also be that the child just doesn’t have enough time to eat. At our son’s school, they only get 5 minutes at recess break, and 15 minutes at lunch break to eat. Its just not enough time. Plus, its teaching out young children that they should gobble their food if they want to eat AND play outside at break. This is not the message I want my child to learn. He’s already starting to stuff huge mouthfuls of food into him mouth at home. Any suggestions about that? Oh my! That is not a lot of time. At home maybe, but at school there are a tonne of distractions. How about trying a snack or picnic style lunch? Smaller portions, lots of variety, and a focus on protein and energy density.